Carrie Furnace is one of the abandoned blast furnace that had been in use back when Pittsburgh was at the center of the world’s iron and steel production. 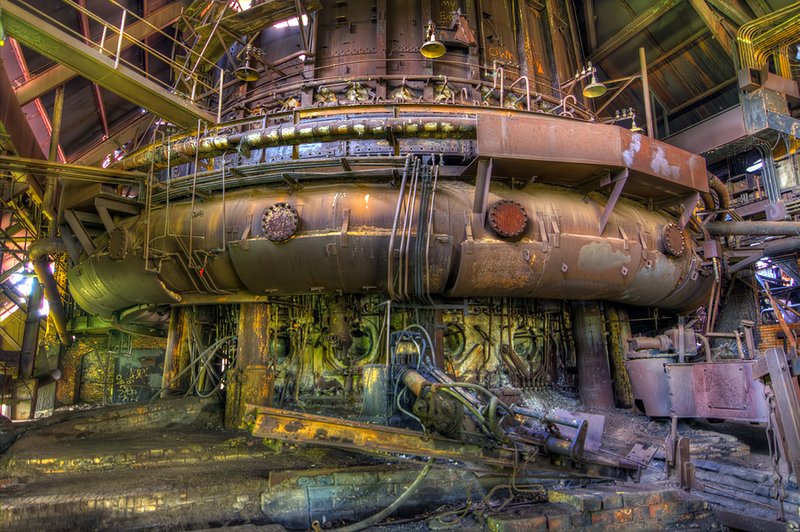 Carrie Furnaces 6 and 7 are extremely rare examples of pre World War II iron-making technology. Since the collapse of the region’s steel industry in the 1970s and 1980s, these are the only non-operative blast furnaces in the Pittsburgh District to remain standing. A Pittsburgh based non-profit organization, Rivers Of Steel, is actively working to restore what remains and make it an historic landmark of Western Pennsylvania. It was in my “must see places” list and accordingly I have booked my reservation prior the tour. The Furnace is located along the Monongahela River in the Pittsburgh area industrial town of Rankin. Before the trip I did some self study about the place and its location. Because the location information was not available on GPS. So I searched the route on map and make a print of It. Its very important to know the route else you will dump in some unidentified location. Before the start of the Tour, Tour Guide Mr. Ron Gault gave us a nice briefing about the History of the Carrie Furnace and also “Things to Do”. Tours take visitors through the iron-making processs and includes the famous 45′ x 35′ “Deer Head” crafted entirely of materials found on the site. 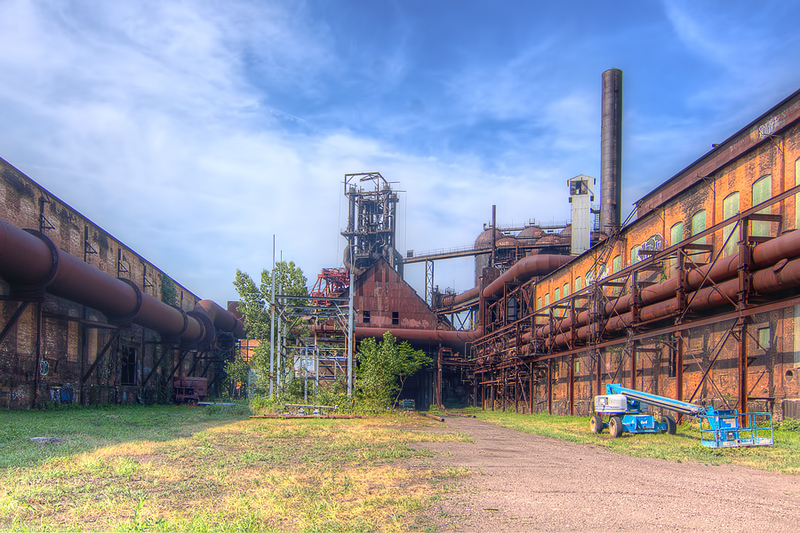 Constructed in 1906, the blast furnaces stood at the heart of U.S. Steel’s Homestead Works until 1979. At one time, the furnaces and the steelworkers who labored in them produced more than 1,000 tons of iron a day. Now, these 92-foot-tall structures stand as sentinels to Pittsburgh’s steel heritage. In 1978, after 97 years of service, the Carrie Furnace, which at one time had produced up to 1250 tons of iron daily, was permanently closed.